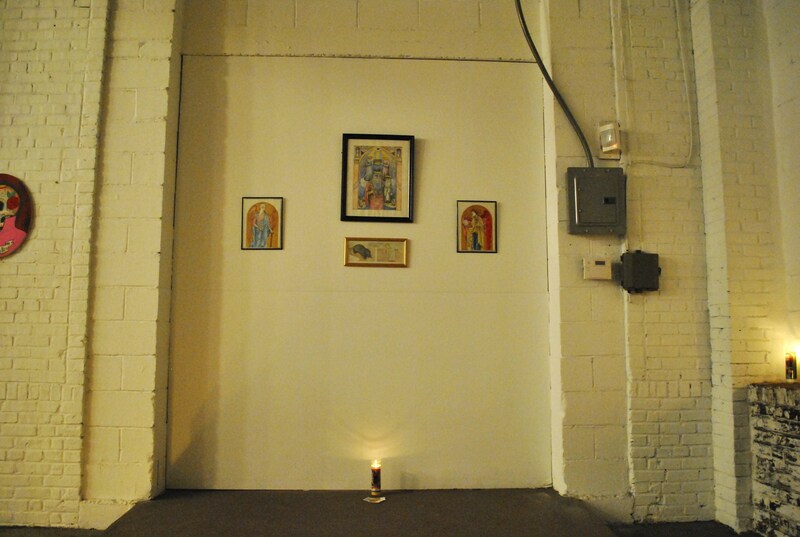 Friday, November 2nd was the opening for the All Saint’s Day show at 161 West. 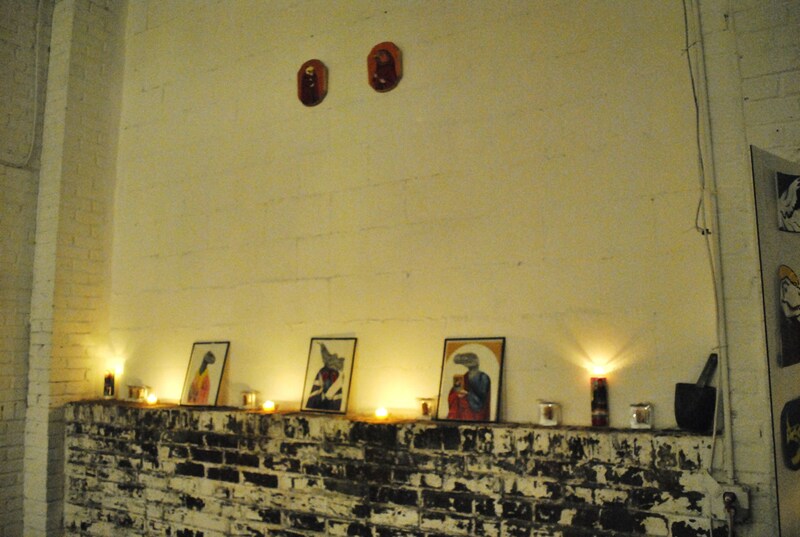 I shared the space with the work of Mike Ellyson, which couldn’t have been a better match. 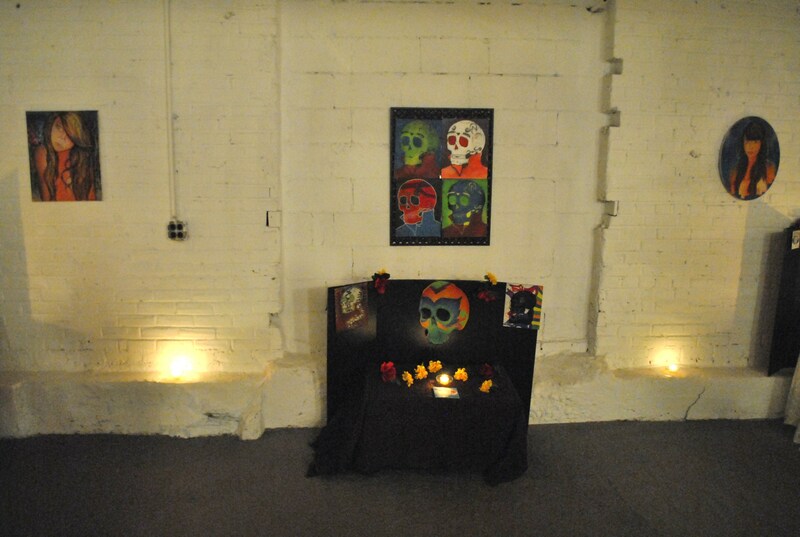 Our work, heavily influenced by religious symbolism and imagery, nicely complimented a day that celebrates All Saint’s Day as well as Day of the Dead. 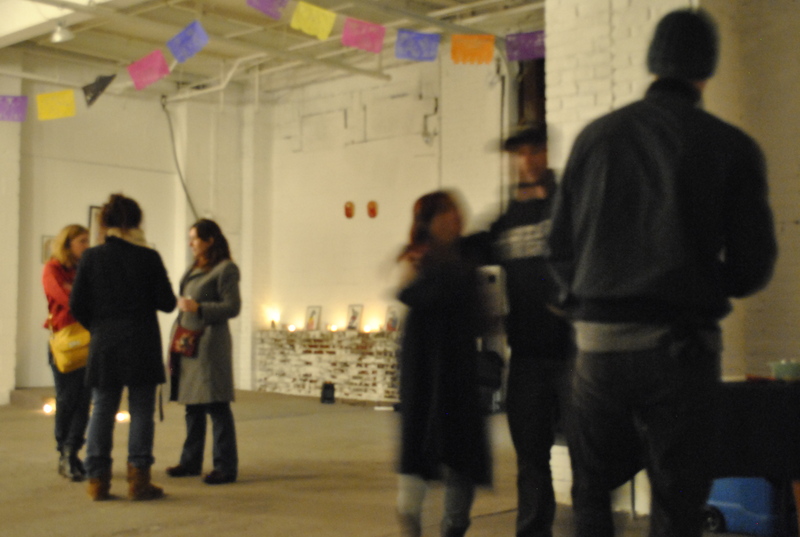 161 West, a gallery in the Fishtown area of Philadelphia, once housed a die cut factory, giving it a large space with high walls. 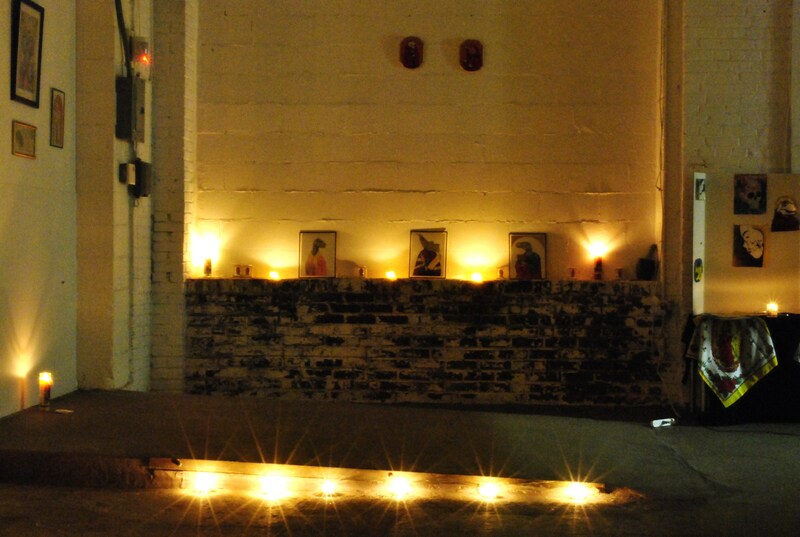 This space worked well to create a church-like atmosphere, which worked perfectly with our work. Many thanks to Jessica Murphy for setting these up! 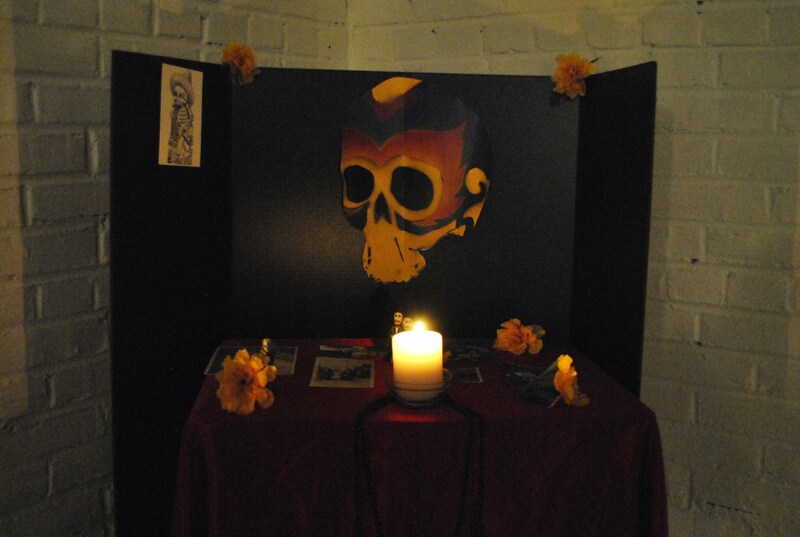 These little altars she made definitely made my calavera stickers a lot more eye catching! 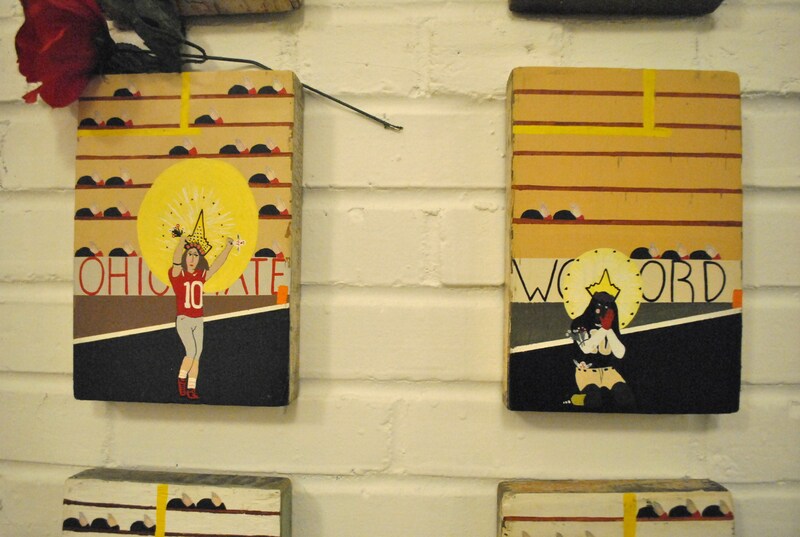 Mike Ellyson’s altar to college football. 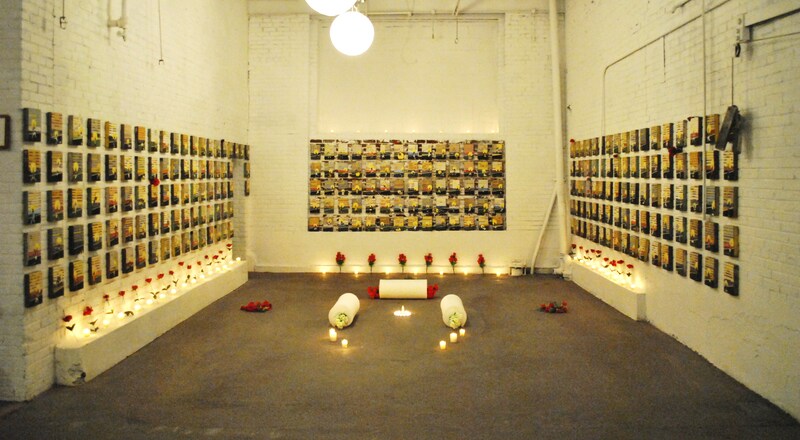 This epic installation features an altar surrounded by 245 paintings, each one representing an individual college football team. An undertaking that took 3 years, this was the first time all of them were shown together. 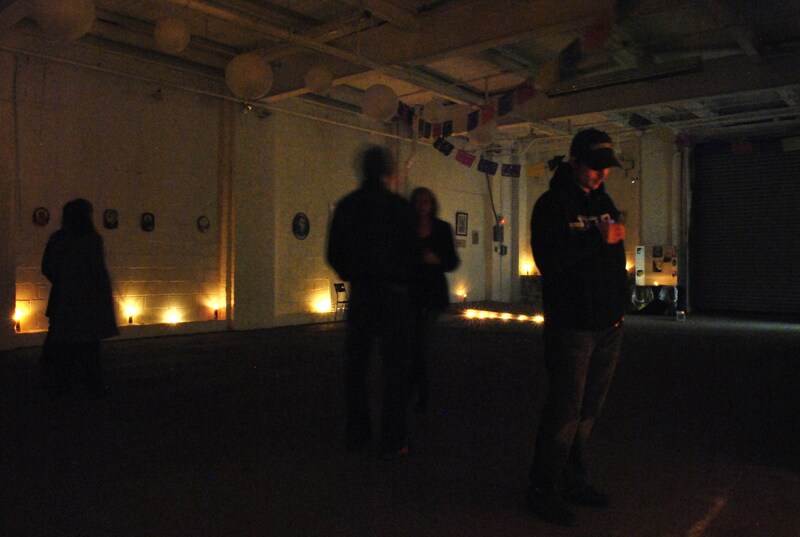 The show will be up a couple weeks, so be sure to check it out if you are in the Fishtown area. 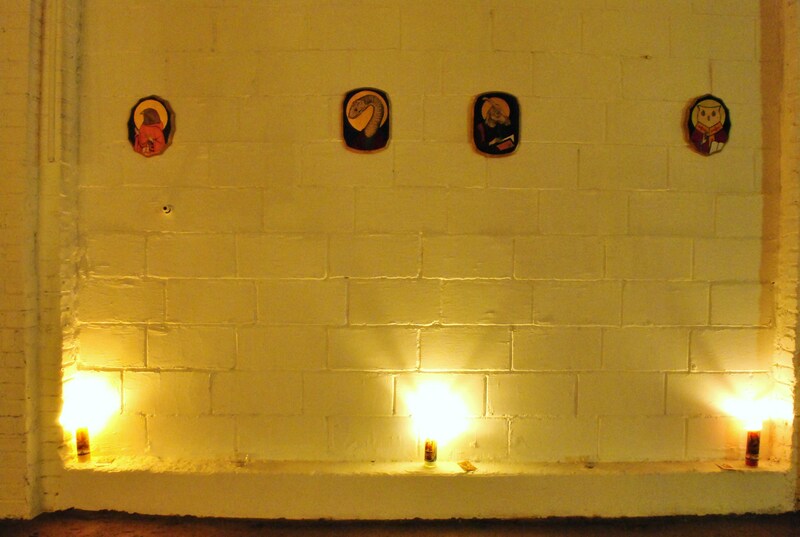 You can contact the gallery for times, or set up an appointment. 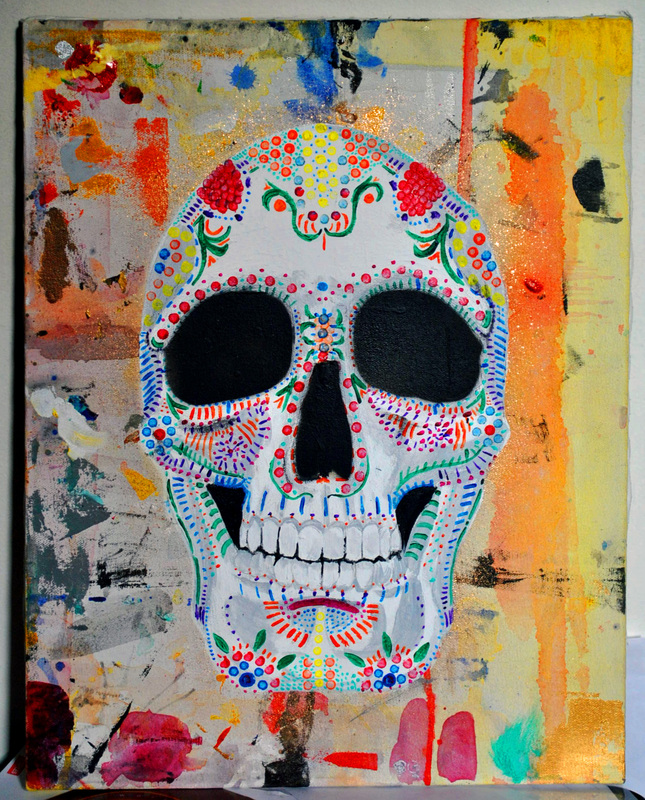 Inspired by an art lesson I teach around this time of year about Dia de los Muertos (Day of the Dead). 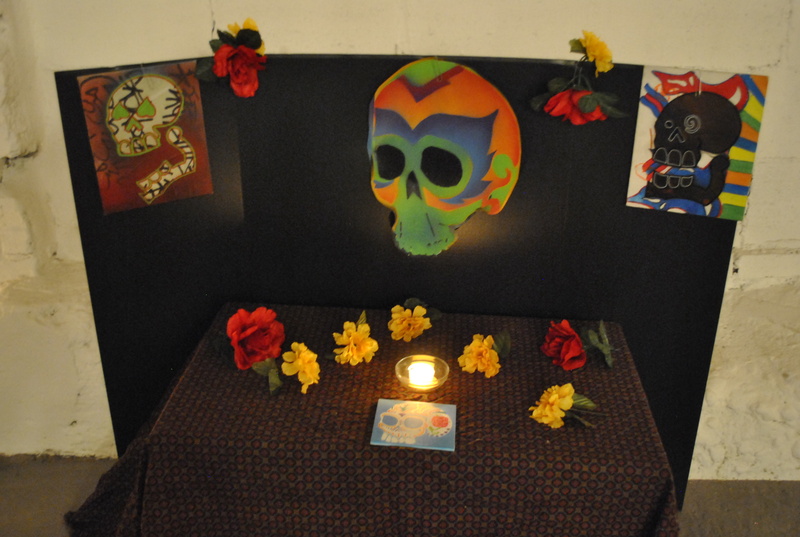 I really enjoy this lesson because it teaches what Dia de los Muertos is really about, and we get to draw skulls. Most people think this holiday is pretty much the same as Halloween, which is further from the truth. 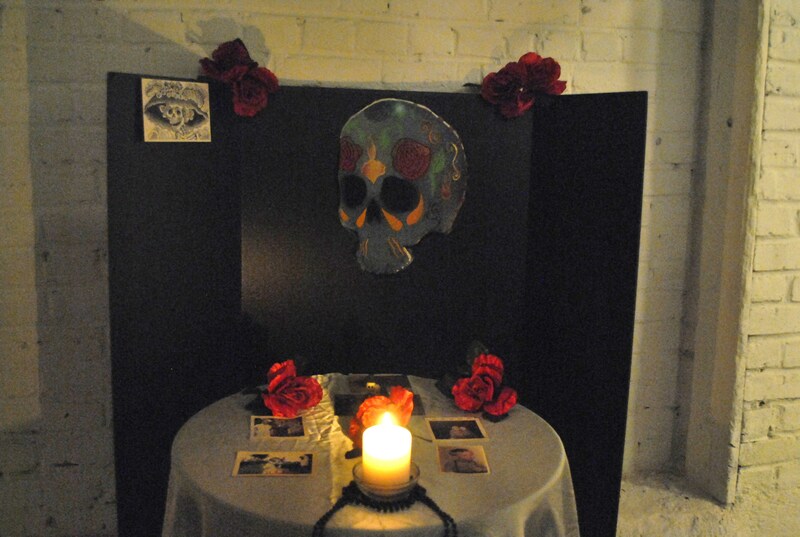 Dia de los Muertos is a religious holiday in which families gather to honor friends and family members who have died. 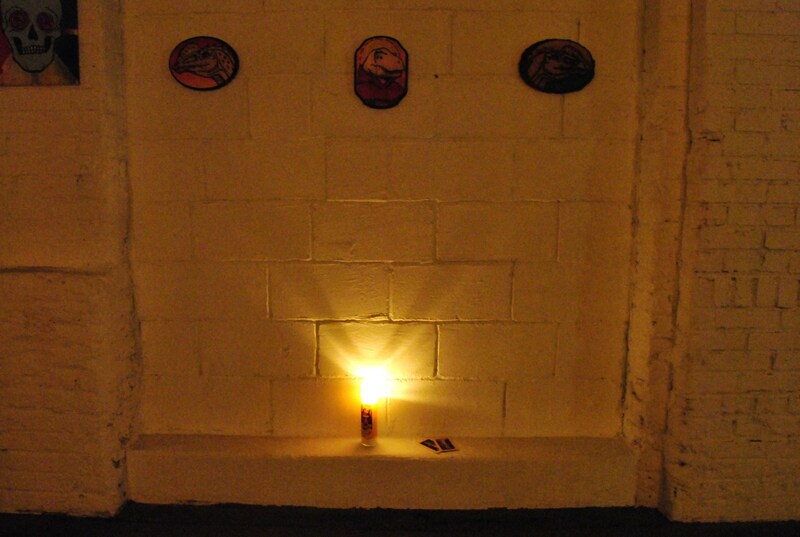 It combines elements of Catholic as well as Indigenous Mexican religions. This was often done in order to make the assimilation to Christianity easier (fun fact: the date Christmas is celebrated is based on a Pagan holiday). 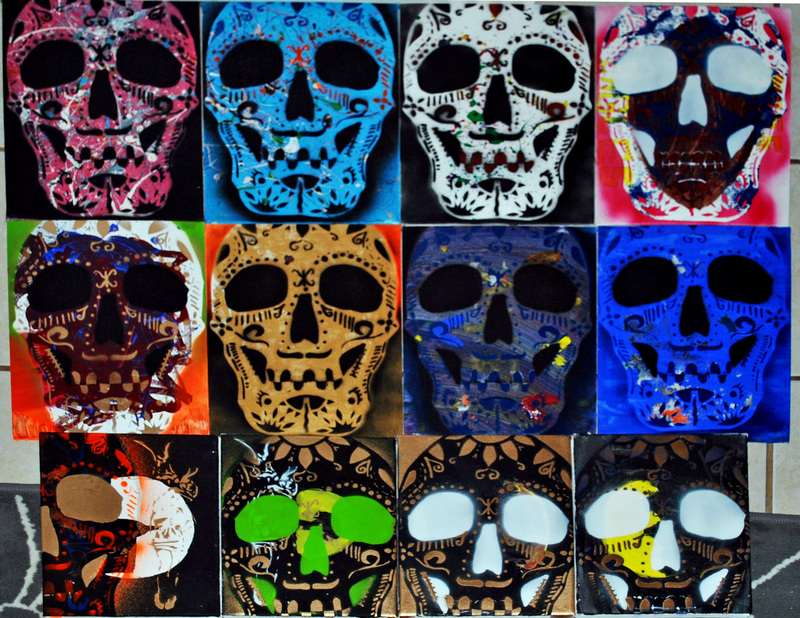 The prominent symbol is the skull, which represents death. This holiday is known to be the one day where you don’t need to fear death, but celebrate it, since death as big a part of life as living. The easiest way to sadden an art teacher is throwing away your artwork in front of them. I got tired of students working a class period on a painting, and then throwing it away because they didn’t like it. 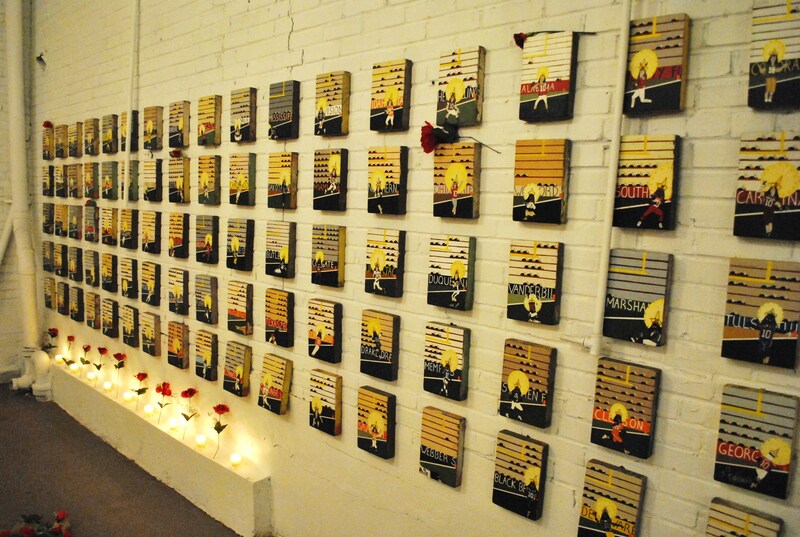 So I’ve amassed quite a collection of used canvases from my students, which I have been using from time to time. 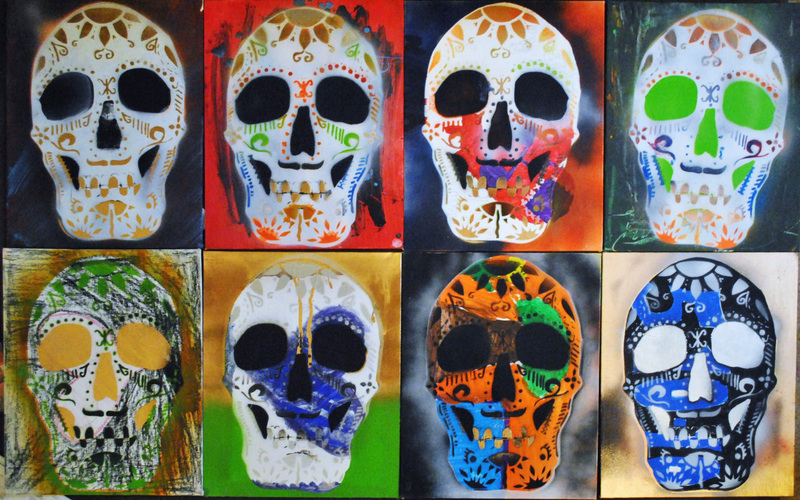 They worked perfectly for this series, since it allows each calavera to be quite unique and colorful.